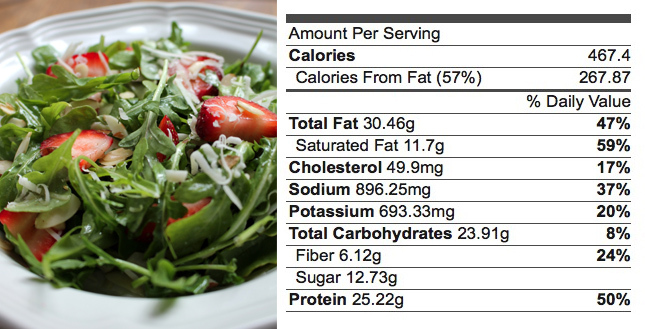 Instructions: Combine arugula, strawberries, cheese, salt and pepper in bowl. Drizzle with vinegar and oil over the salad. Toss gently and serve at once. For and alternative top with goat cheese in place of Parmesan. Serving size: Entire recipe (16.9 ounces).